I was so excited when SPI emailed me about reviewing some of their brushes. 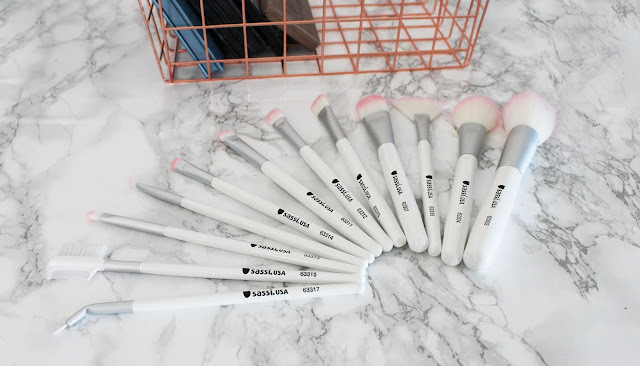 I love makeup brushes so much! I mostly use Real Techniques so I love trying new brands. 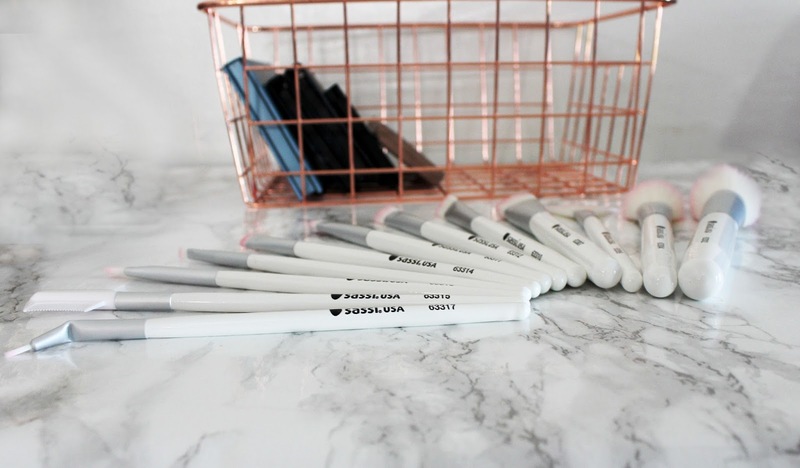 "Sassi's cruelty-free brush set is perfect for applying your favorite cosmetics with style. This set includes twelve of our high-quality brushes for the eyes, cheeks, and complexion. Makeup application is effortless thanks to the Pink! Synthetic Makeup Brushes. - Exclusively designed ergonomic handle for total control"
These brushes are from SPIcosmetics.com and are $18. These brushes are soft and well made. The bristles are glued in well and cut evenly. I love the ombre of them. You can tell they are synthetic but not in a bad way. They are still soft. The fluffy ones are nice and fluffy. And the packed ones are nice and flexible. I hate a stiff makeup brushes. These brushes move just how you expect. The handles are well made and pretty balanced. The logo is carved in and then painted. Which is nice. The brushes apply product well but don't hold on to the product. Meaning that they didn't have build up. They held up great to washing and were still soft after the wash. I forgot to take a photo with the case but it is a nice vinyl case. It does smell a bit like vinyl but it didn't transfer to the brushes since they came with plastic covers. I'm sure the smell would go away with a wash. The case is well made and has a protective flap to cover the brushes. The case looks blue on the site but is actually black. I like it and can't wait to use it after it's a wash. 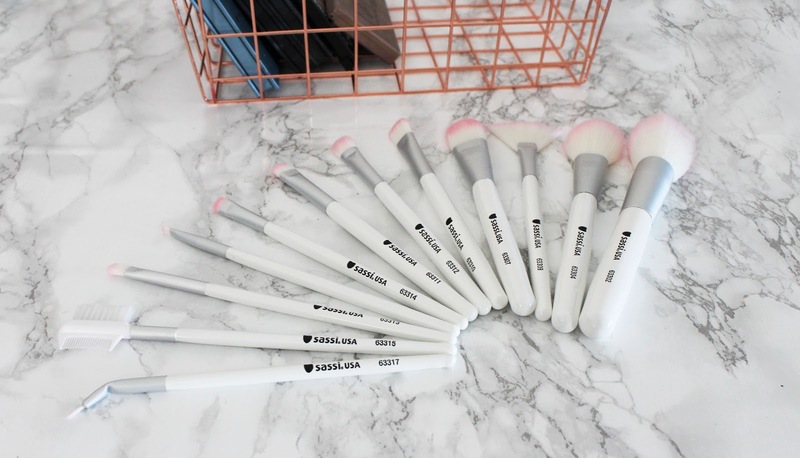 I really like these brushes and some of them will definitely be going into my makeup bag. The angled liner brush is awesome! That's it for this review. Thanks so much for giving it a read! I hope you enjoyed! 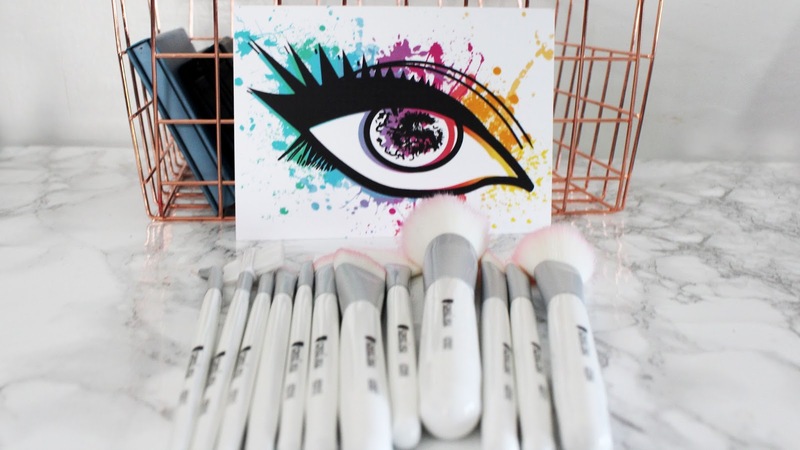 Have you tried an SPI Brushes? What did you think? Let me know your thoughts in the comments below! Disclaimer: I received these brushes for free to test and review them. All opinions are my own. Photo Credit: All Photos were taken by me with a Canon Rebel T5 and an 18-55mm Lens. Then edited by me in Photoshop. 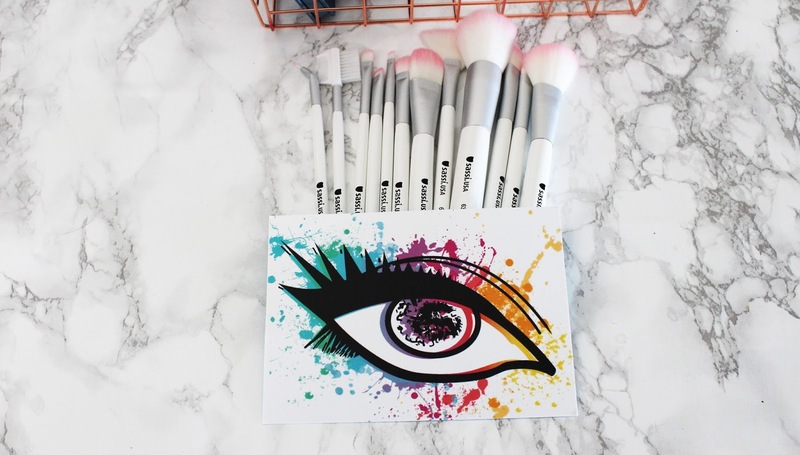 I love these brushes too! They are really soft! And really pretty too!